This gorgeous 3 bed/2 bath home with over 1900 square feet includes a spacious kitchen with a smooth top electric range, Wilson Art counter tops, built-in microwave, faux blinds, bronze fixtures, refrigerator, plenty of cabinet and counter top space. Enjoy a large living and dining room with wood-burning fireplace, bull nosed corners, two-tone paint, spacious laundry room, and much more! Large backyard has wood privacy fence and covered patio. Easy to qualify – will consider all applicants. 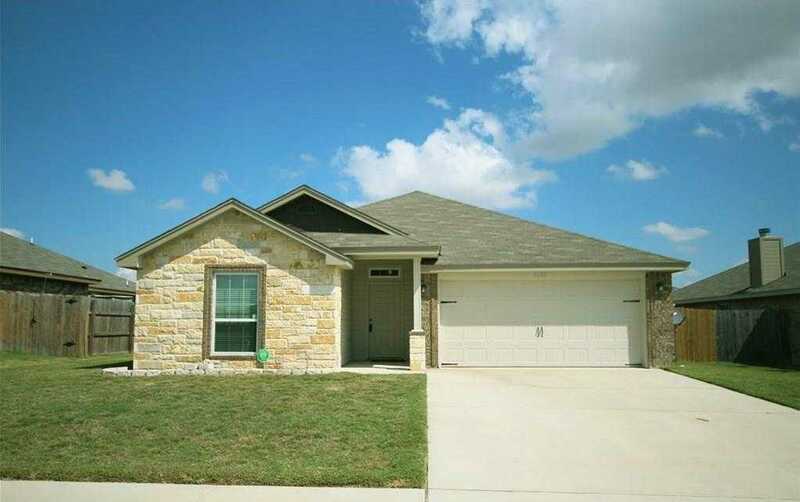 I would like to schedule a private showing for this property: MLS# 6711709 – $1,350 – 2505 Tara Dr, Killeen, TX 76549.